Presented by Sean Rafferty. Guests include violinist Joshua Bell and there is live music from period instrument ensemble Trio Goya and the Haffner Wind Ensemble. Sean Rafferty's guests include period-instrument chamber ensemble Trio Goya and the Haffner Wind Ensemble playing live. 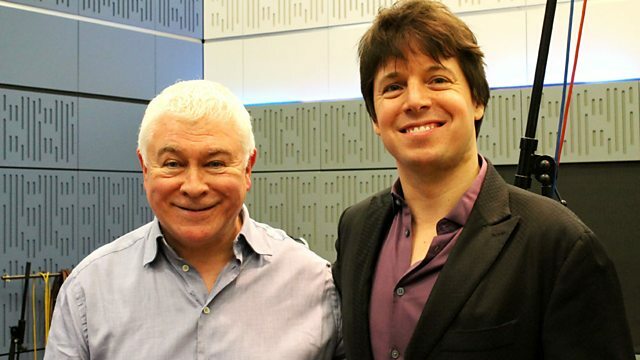 Plus, one of the world's best loved violinists, Joshua Bell, talks about his conducting role as Music Director of the Academy of St Martin in the Fields. Performer: South-West German Radio Orchestra. Performer: Martha Argerich. Performer: Orchestra Mozart. Performer: Joshua Bell. Performer: Paul Coker. Performer: BBC Scottish S O. Performer: Jeremy Denk. Performer: Joshua Bell. Performer: Academy of St Martin in the Fields. Performer: Dana Hanchard. Performer: Sylvia McNair. Performer: English Baroque Soloists. Performer: Novisibirsk Academy Symphony Orchestra.